I have quite a few favourites this month as my Spending Ban is really making me love more and more products in my collection as I don't really have anything 'new' to use. This month other than my usual concealers there have been two face products that have really stood out for me, they are the perfect face duo for me. I've been starting to try out the new Rimmel Match Perfection Light Perfecting Radiance Foundation and I have the palest shade (surprise, surprise) which is Light Porcelain. I really like the coverage of this foundation, I don't apply too much and find it gives a medium coverage on my skin, I like that it doesn't cover my freckles though. Once I've tried this out more I'll do a review. 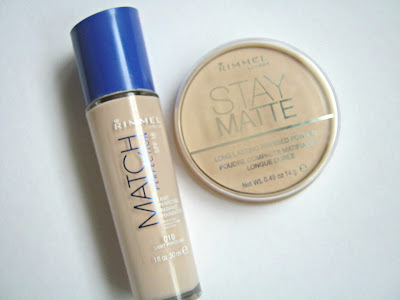 Despite really liking this foundation I've always favoured a matte finish so I have been loving powdering my face with my Rimmel Stay Matte Powder in the shade translucent. These two products go perfect together. As you know this month I've been experimenting with colours and makeup in general. To aid me with this I purchased the two Sleek Matte Palettes in Brights and Darks. 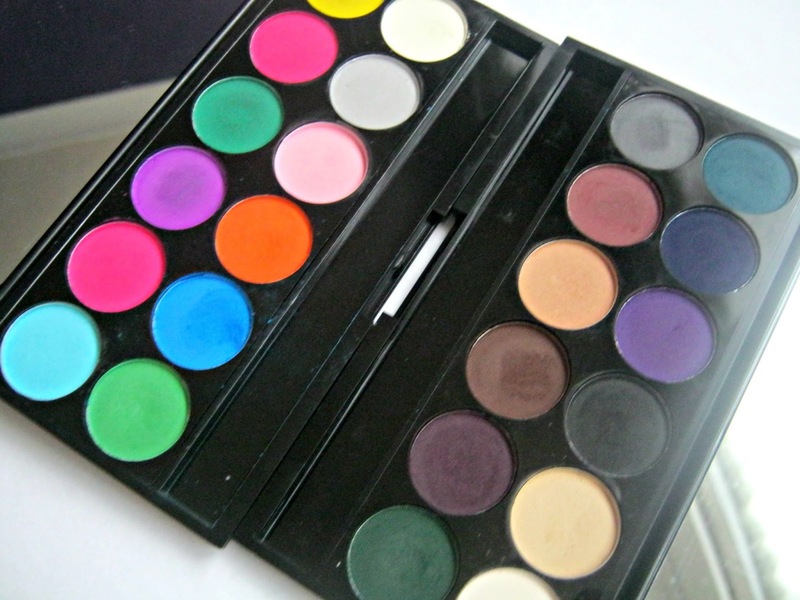 I really have been enjoying using these, they are really pigmented and long lasting. Also the eyeshadow's are creamy and a joy to use! Look out for a review on these and some posts on a few looks I've created using them. For mascara this month I've been using nearly all of the ones in my collection but the one I keep on reaching for is the Maybelline Colossal Volum' Express Smoky Eyes Mascara. This creates lots of length, with one coat, despite being a mascara aimed at volume. With two coats you do get more volume but I favor length over volume so I mostly only apply one coat. Look out for a review on this. 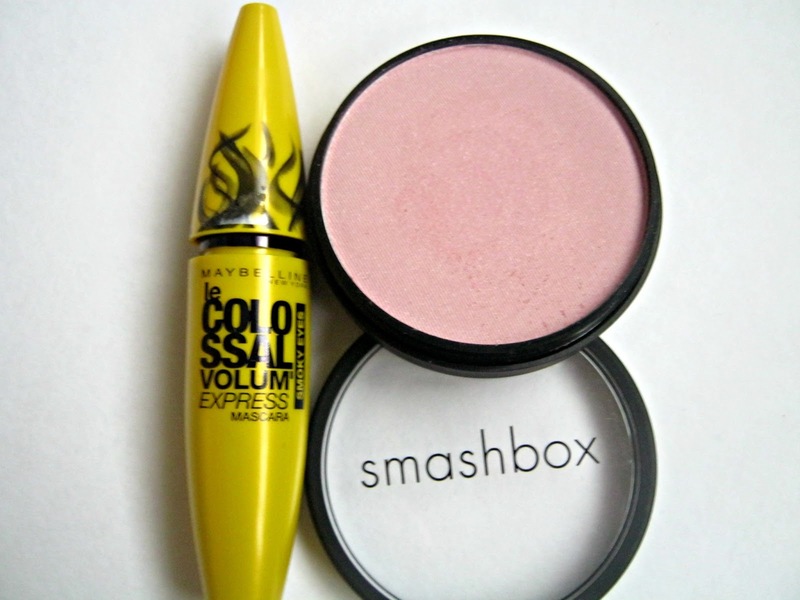 This month I've loved using blush and highlighting and this product from Smashbox has been my favourite product for doing both of those things. The Smashbox Soft Lights Highlighter/Blusher in Prism is a pale pink shade with lots of shimmer in it. I loved using this because as well as giving my cheeks a lovely shimmer it also adds a wash of colour to them. I'll also be reviewing this eventually! 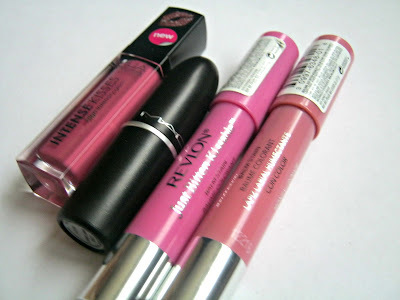 For me, this month has been all about lip products! I've been using my MUA Intense Kisses Glosses a lot but I've reached for the shade Lips Are Sealed the most. You can read my review here and here. This month I purchased my first MAC Lipstick in Lovelorn and I have absolutely loved it! You can read my review here, its such a gorgeous everyday shade for me and I'm so glad I purchased it. Also the today I received my second MAC Lipstick in Angel as a lovely gift to cheer me up and boy it did! I can't wait to show you it in a post and review it. You could have guessed that I'd be showing you my Revlon Just Bitten Kissable Balm Stains in this post! The two I've worn the most this month are Cherish and Honey. These are just the most amazing lip products. I can't find any fault in them, personally, and I definitely don't regret buying so many! You can read my review here and see swatches of 5 out of 7 of the UK shades available. My favourite nail polish for the month of January has to be Essie's Navigate Her. This is an amazing shade , its a creamy light-ish green. 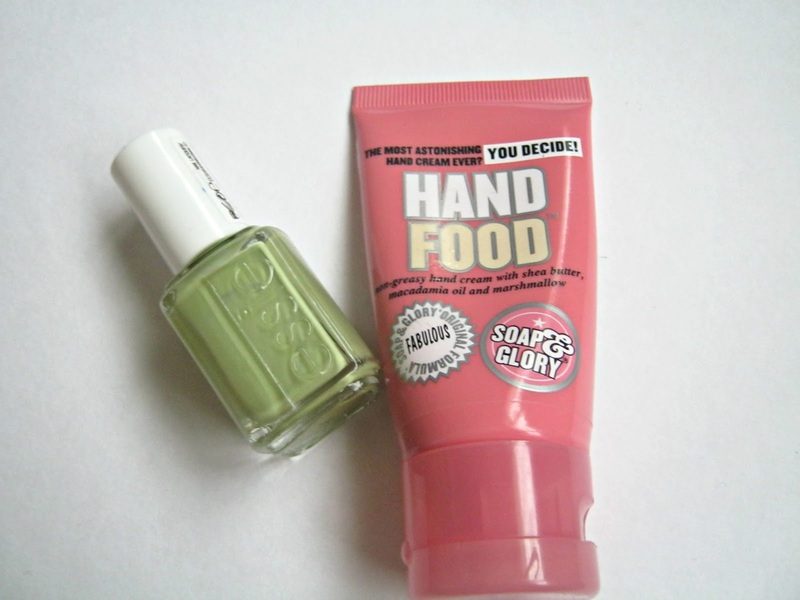 Its difficult to describe but look out for a NOTD featuring it very soon. Finally this month I've been loving my Soap and Glory Hand Food a lot. I've been using it daily and I'm running out of it fast. It sinks into my hands so quickly and doesn't leave them sticky. Its really moisturising and I'll definitely be picking up the larger size of this when my Spending Ban is over. That's it for the month of January, I've been enjoying experimenting with my makeup and discovering more new favourites. What's your favourite product at the moment? I love the Smashbox Soft Lights in Prism. It's perfect when contouring. I like the Rimmel powders a lot. I've added the MUA gloss to my wishlist ever since I saw your review and swatches about them. I'm after a nice pale green and i hadn't thought about Essie's Navigate Her. It's certainly now i'm my wish list now you've brought my attention to it. Yay! 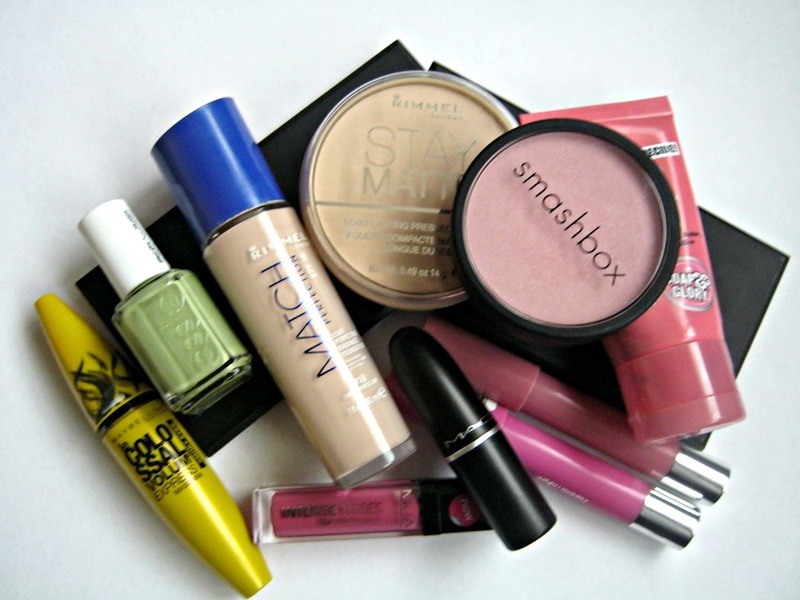 Glad to see the Smashbox product in your favourites of this month! I love the Sleek palettes as well! I don't have the ones you have, but the quality Sleek provides is amazing. Especially for the price you pay! I really love :) Thanks again lovely! Great post! I love my Rimmel Stay Matte Powder!